Wine cellars are designed to create the perfect storing and aging environment for all your fine wines and favourite bottles. When you get professional wine cellar installers to handle the job, they provide you with advice and ideas about where the cellar should be located, what its size should be, etc. If you are a serious wine collector, you will choose expertly-crafted cooling systems, light-protecting material, insulated walls and strong insulated doors as well. All of this sounds good and you may feel that you finally have a cellar that will be able to house your precious wine collection properly. But have you given any thought to the environment outside the cellar? With so much emphasis being placed on the internal environment of the wine cellar, you forget that the working of the installation will be impacted by the location too. A passive wine cellar is essentially a wine storage space that isn’t climate-controlled. In most instances, it’s built underground so as to prevent or reduce fluctuations in temperature. These are a good option for anyone looking for a cost-effective wine storage solution. In an active custom wine cellar, the temperature and humidity are both purposefully maintained at a specific level by a climate-control system and any changes in these two factors can be properly managed in this kind of cellar. 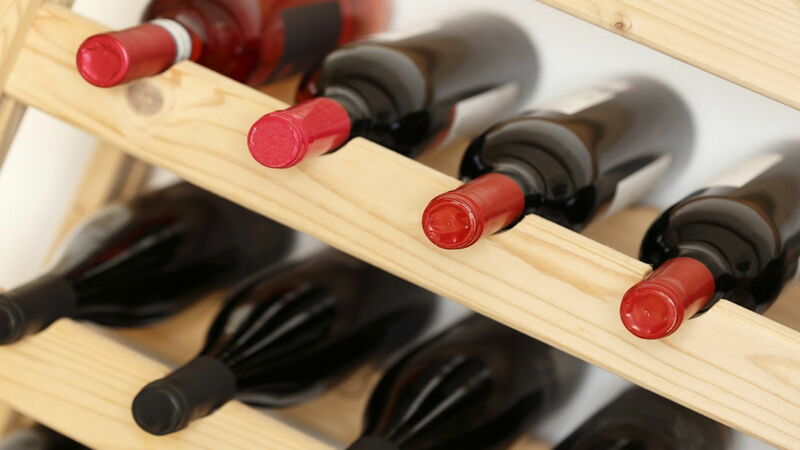 You spend a significant amount of money on fine wines and it’s important that you store them in ideal conditions. If you have a passive wine cellar, it’s important that it be underground and preferably in a south-facing part of the home (if that is structurally possible). Wine cellars are specifically-designed to be cooler than the actual temperature zone into which they exhaust. This is exactly why it’s important to position your wine cellar in a space where the temperature does not get too cold in the winter (it must never freeze) or reach above 30°C in summer. If this kind of a temperature variation occurs, your cellar won’t be able to maintain the required ideal temperature zone of 11°C-14°C. When you are choosing a good location for your custom wine cellar, ease of access should be one of the primary considerations. Give some thought about where you are going to be serving the wine and get the installation done in that place. This could be your living room, dining room, kitchen etc. If you have sufficient space, these areas become great places to install a wine cellar – this is because in most probability, the ambient temperature zones will occur inside your house. Apart from this, it’s always nice to have your wine cellar close to where you are going to be consuming the wine. If the living areas in your home do not have the space to accommodate the wine cellar of your choice or if it just doesn’t fit in with the decor in these areas or if you simply prefer to have the cellar in your basement, you can actually have it installed there. The only condition is that there should be no fluctuations in temperature, beyond the prescribed range (in case it’s a passive unit). If you have an active installation, you can get the wine cellar installed in the basement without having to worry about this aspect. Today, a large number of people are becoming very serious about collecting wines and there has been a significant rise in interest in custom wine cellars; there are a number of companies that can install these for you. It’s best to opt for a credible company such as Signature Cellars to help you with your custom wine cellar installation. For more information, call us on 02 9340 7515 or use this contact form to get in touch with us.